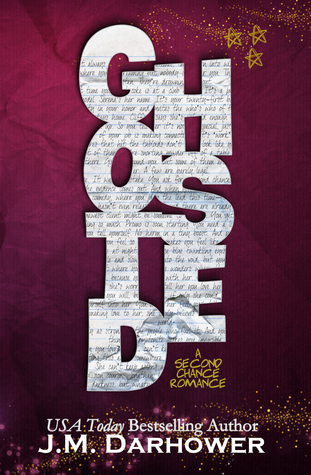 ‘GHOSTED:’ Is a standalone second chance romance novel by J.M. Darhower, spoken in 'Dual Perspectives' In this we meet Kennedy Garfield & Jonathan Cunningham. Their story isn't pretty, but it's their story..And it's a story that must be told. A second chance romance about a boy who loved a girl, who turns into a man that loves a woman. I don’t know what it was about this book but as soon as I opened up that first page, and started reading I was hooked, this author just has a way with words, a unique storyline that grabs you by the throat and doesn’t let go until you’ve inhaled that very last page. God the feels that came rushing at me, the love I felt consumed me, normally I’m not really a fan of second chance romances because you kind of know the layout of the story, past they break up, then they make up end of story, but this was done in such an outstanding way like pieces of a puzzle we’d be given pieces of their past that we’d make sense of to complete their future. There is nothing I can say that hasn't already been said about this book!! What I loved most about it was the simplicity of it, the realness of it, you could see every scene in this book unfold in real life, nothing was over dramatised. So very life like. 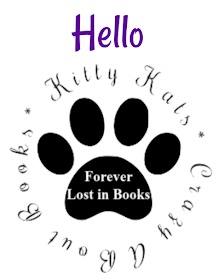 If you've not read this book it comes with a highly recommend stamp from yours truly!! Take the plunge, one click you won't regret it, fall in love with these characters just like I did. He's a troubled young actor, Hollywood's newest heartthrob, struggling with fame as the star of the latest superhero franchise. Through scandal after scandal, addiction on top of addiction, a flurry of paparazzi hunt him as he fights to conquer his demons. She's a single mother, assistant manager at a grocery store, existing in monotony with her five-year-old daughter. Every day when she goes to work, lurid tabloids surround her, the face of a notorious bad boy haunting her from their covers. A man and a woman, living vastly different lives, but that wasn't always the case. Once, they were just a boy and a girl who bonded over comic books and fell in love unexpectedly. When Kennedy Garfield met Jonathan Cunningham back in high school, she knew he had all the makings of a tragic hero. With stars in his eyes, and her heart on her sleeve, the pair ran away together to follow their dreams. But dreams, sometimes, turn into nightmares. Now, years later, the only thing they share is a daughter—one who has no idea her father plays her favorite superhero. But Jonathan is desperate to make amends, and at the top of his list is the woman who gave up everything for him and the little girl he hasn't yet met. Rule number one for a professional matchmaker? Don’t fall in love with your client. Rebels. Misfits. Bad boys who rule the streets. Hit me. Kick me. Hurt me. Hate me.